Many people list Kilimanjaro as a lifelong dream adventure. This itinerary allows you the time to see all of Kilimanjaro’s main areas and with a 7 day ascent it also allows you a great chance of successfully making it to the roof of Africa! This is designed as a budget trip that does NOT compromise ethics or safety. This is a 7 day Kilimanjaro hike starting at Machame gate and ascending via Stella Point. There is a nighttime ascent to the summit. This trip is a ‘budget’ specification trip we run although you still have a mess tent as standard with lightweight tables and chairs and all cutlery. Our trips include most importantly knowledgeable professional guides that go through bi annual training. Our logistics team at our base monitors your trip from start to finish. Upon arrival into Kilimanjaro International Airport you are met and transferred to your lodge in Arusha. You are given a full briefing and equipment check with the Climbs Manager and your guide. Dinner & overnight Lodge (dinner). After breakfast you depart by vehicle to Kilimanjaro. At the gate your crew finalise packing and after finishing with formalities you start of from Machame gate. Today’s hiking is through verdant afromontane forest to Machame camp and on route you have a picnic lunch. Look out for pretty endemic flora and a graduation of forest zones! Overnight Machame Camp (full board). From Machame camp you hike to Shira Camp. The first section is relatively steep and altitude is gained rapidly. A picnic lunch is taken on trail today. The zone you pass through today is known as the heath zone where attractive helichrysum and lobelia plants become apparent. Various geologic features can be seen today from lava tubes to glacial valleys. Overnight Shira Camp (full board). Today is a walk high sleep low day. You ascend into alpine desert and for those that are feeling strong you can even head up to Lava Tower before descending to Barranco camp. Lunch is taken as a picnic lunch on route. This is long day but note that the next time you head to this altitude is in two days time – great acclimatisation day! Overnight Barranco Camp (full board). From Barranco camp, famous for its’ giant groundsels (Senecio species), you ascend the Barranco wall and hike glacial valleys to Karanga camp. Today is a relatively short day hiking and lunch is taken at Karanga camp. In the afternoon a walk can be taken with your guides for great views of the southern walls of Kibo and deep glacial valleys. Overnight Karanga Camp (full board). Today is another half day ascending to Barafu camp. Once again lunch is taken in camp allowing plenty of time to relax before the summit bid. 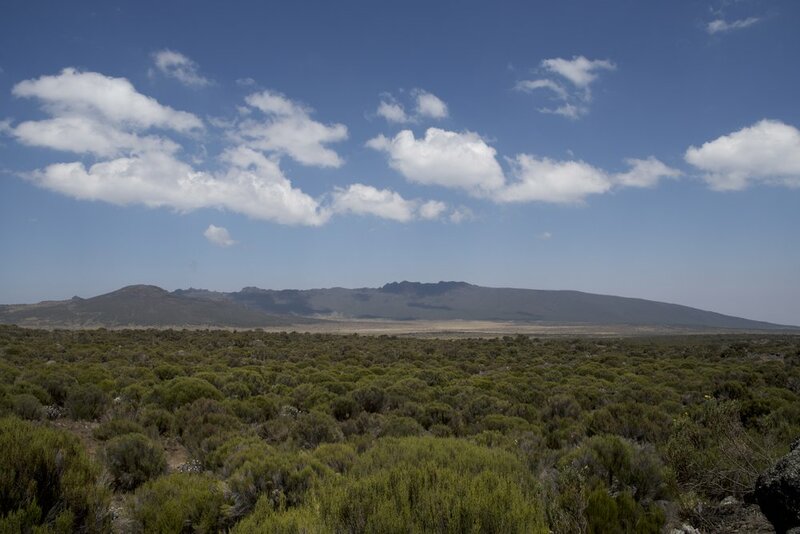 Desolate alpine desert and at times strong winds rip over this camp and yet in the evening splendid views of Mawenzi peak are the norm. A relatively early dinner is taken before heading to rest for the evening. Overnight Barafu Camp (full board). Most people depart just before midnight for the final summit bid. Patience and persistence is the name of game to reach the summit and by dawn as the first rays of light start to appear, most arrive near the rim. Ascending via Stella Point affords a realtively short final section to Uhuru peak, the Roof of Africa! What goes up must come down and your goal today is to reach Mweka camp before dusk. Overnight Mweka Camp (full board). Today you are transferred to Kilimanjaro International Airport for departures (breakfast).